ET Hotel Booking is a Travel Joomla template that is developed with stylish and elegant design, which make it easy for you to introduce your hotel modern facilities and amazing services. The template is created on a powerful framework that brings entire responsive layout (working with all mobile devices), along with strong shortcodes for editing content without any effort. Coming with many sections that allows you to showcase all about your accommodation highlight services and attractive deals, ET Hotelbooking will be a great starter for your business. Plus, flexible homepage including boxed and full-width layout, unlimited module position, 4 color options and drag drop layout are also integrated with the template in order to give you the best experience while working with it. 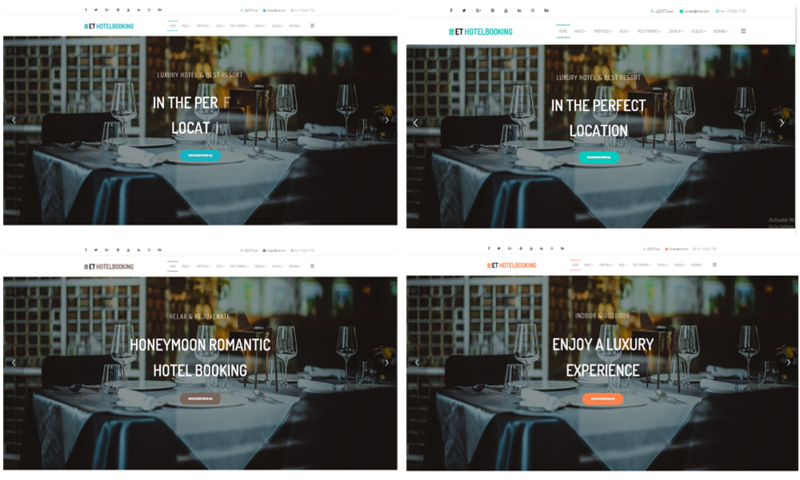 Especially, as a hotel booking template, ET Hotelbooking comes with Solidres – a famous hotel booking extension for Joomla that is promised to bring your customers pleasant experience while visiting your site. 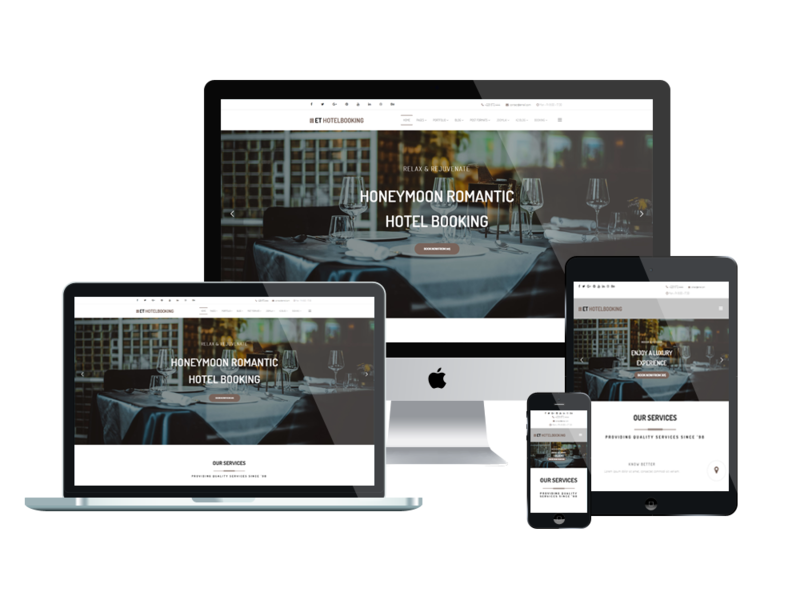 If you’re looking for a Joomla Hotel template, you shouldn’t ignore ET Hotelbooking!